One and done today before the open. I also rolled over today. Sold 52.52 on the the pull back to the top of the compression zone....Looking at the daily chart, I figured there was room to try for a bit more than normal. That happened just before the open and I exited at double the daily goal. Nice trade if I say so myself. I originally typed +2% in the blog title but its only 1%....not sure where the brain fart came from but I corrected as soon as it hit me!! We were out late last night with friends....didn't get home til almost midnight which means I overslept by about 2 hours. From the looks of it, the early going would have probably produced at least one loser followed by a couple of decent winners to the short side. Next week my daughter starts back to school after the Christmas break. She is looking forward to it and so am I!. Execution wasn't too bad today. No follow through on the early longs. No follow through on the shorts. I had targets around 51.80 based on the daily support. Never even got close. 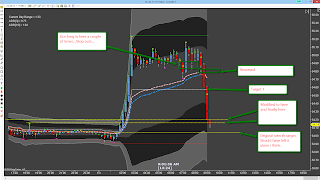 I did trail out to cover the losses on the longs and reshorted for the reach for 51.80. That stopped out as well. Finally got long after being away from the charts for about 45 minutes. 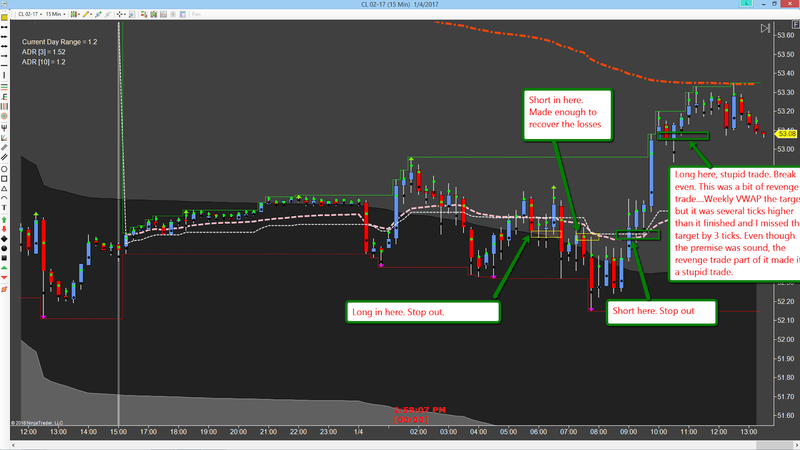 I figured it would go to the weekly VWAP and it did but I had the target to far. 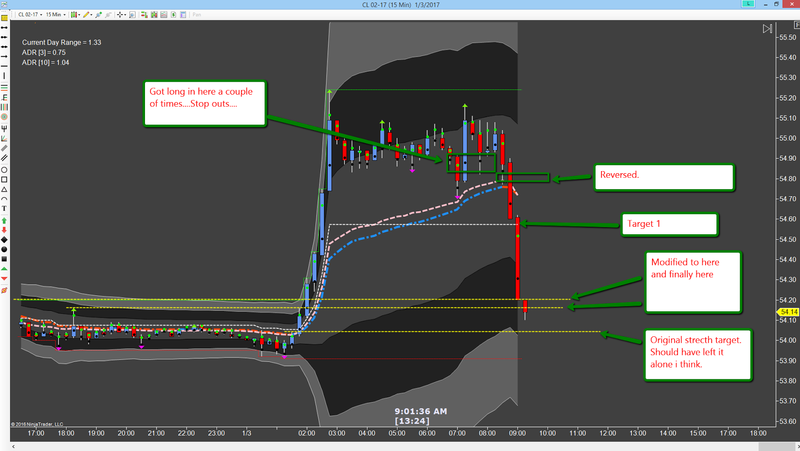 Should have monitored it a bit better as the VWAP moved down to meet price. No the other way around. This last trade was a revenge trade. I was tired of being stopped out with no follow through.....last ditch effort to make some money on the day....and it scratched. Should have just walked away. Anyway, first two days of trading under my belt and I'm not totally unhappy with execution and risk control. Both have been decent. Yesterday was a loser/winner/scratch day and today was a small loser. I am more or less ok with that. All I really need is two or three winning days a week to make this work as long as I control risk the other days. Another good thing is my holding times are going way up. From around 5 minutes to getting close to 30. I did a study once that said if I would hold 25 minutes, most of my trades would reach their planned profit objective. This applied through small ranges and large ones....So even though I'm actually holding longer, the profit objectives are elusive just do to follow through at this point....I know enough to stay with it though as the law of large numbers is in my favor.